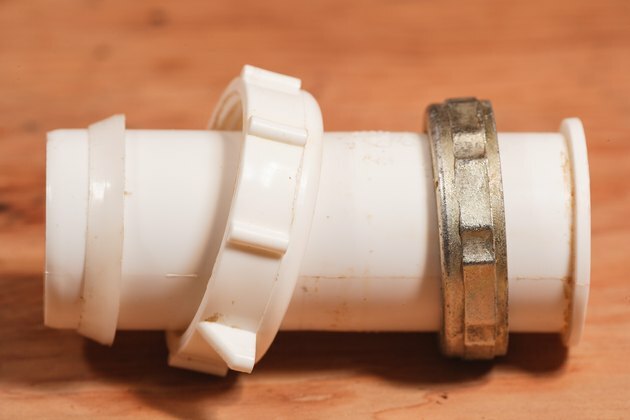 When using PVC for plumbing connections, you are going to run across slip joints. 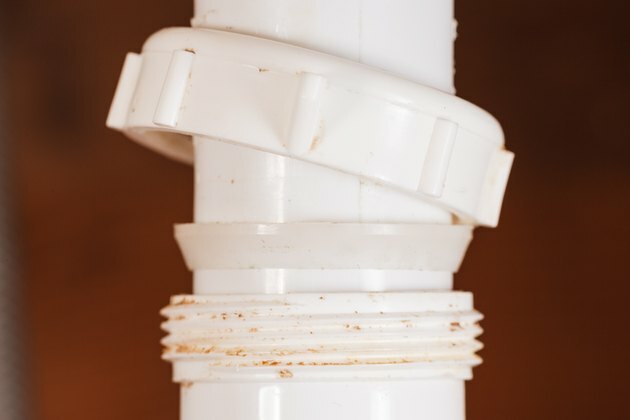 A slip joint allows a raw end of pipe to slide into the threaded end of a fitting. The ends are connected and sealed with a combination of a slip nut and a slip joint washer. The slip joint washer has a tapered end and a flat end. 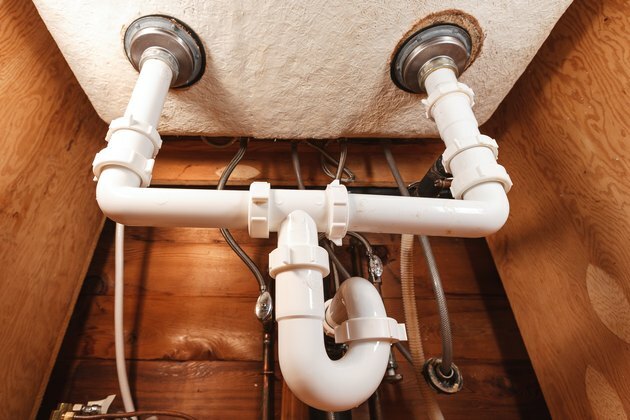 During installation, the slip nut compresses the slip joint washer, sealing the connection against water leaks. 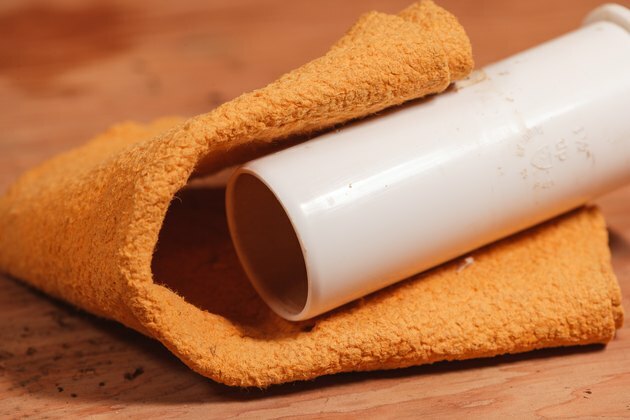 Prepare the pipes that need to be connected by cutting the pipes to length, removing the burr from the cut raw end of pipe and cleaning the end of the pipe of debris with a clean dry rag. 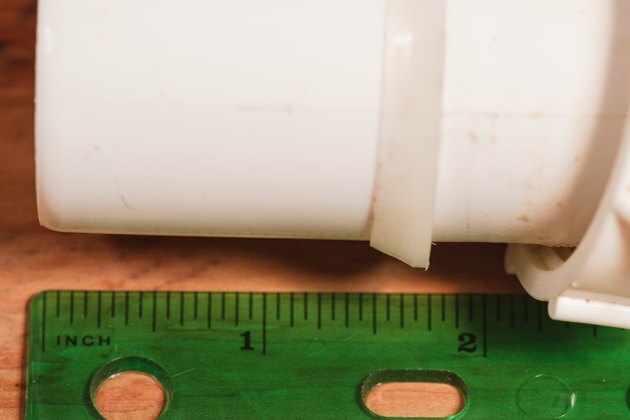 Slide two slip joint nuts onto the raw end of the PVC pipe, with the threads of the first slip joint nut facing the flanged end of the pipe and the threads of the other slip joint nut facing the raw end of pipe. Push the slip joint nut down the pipe and slide the slip joint washer onto the raw end of the pipe with the tapered end of the washer facing the slip joint nut. 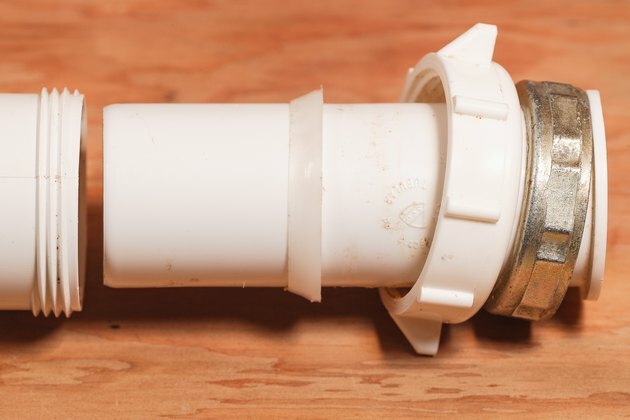 Slide the washer 1-1/2 inches down the pipe to keep it away from the end that will slide into the threaded end of the fitting. Insert the raw end of the pipe into the threaded end of the fitting. Tighten the slip joint nut on the flanged end of the pipe first and then slide the slip joint washer down to the threads of the fitting. The flat side of the slip joint washer should sit against the fitting threads. Slide the slip joint nut down over the slip joint washer, and turn the nut clockwise to secure the nut to the fitting and compress the slip joint washer. Repeat the process for each slip joint connection. 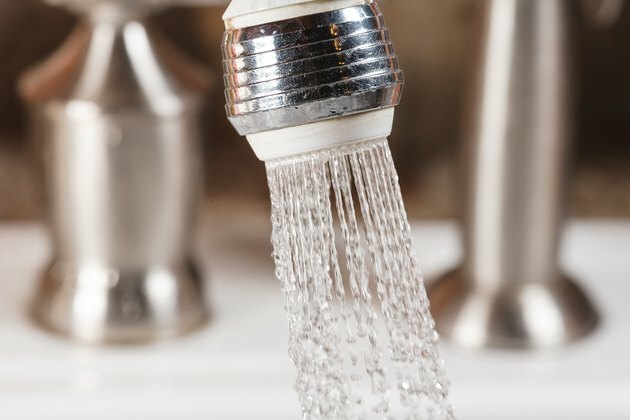 Turn on the water and inspect each slip joint connection for leaks. 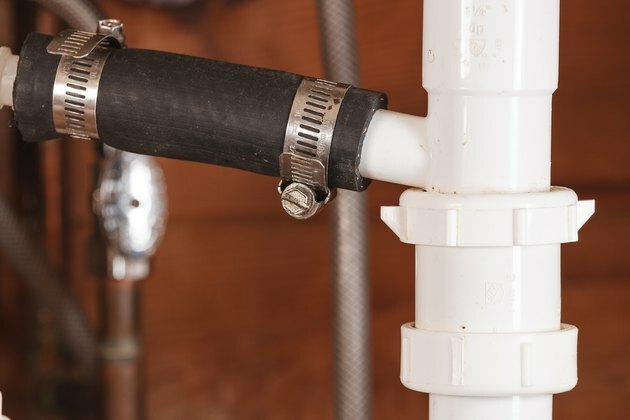 If a connection leaks, first ensure that the slip joint nut is tight. 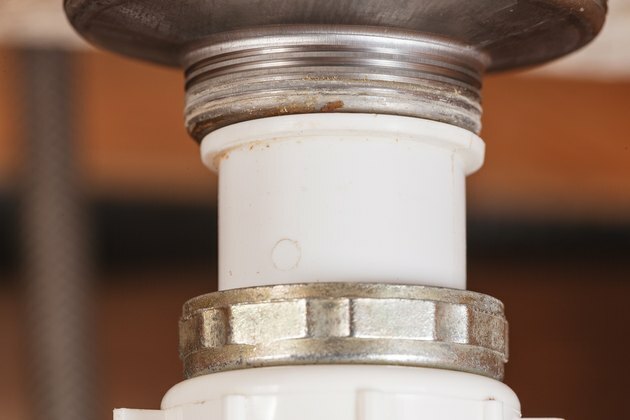 Remove the slip joint nut if it is tight and water still leaks to make sure that you did not install the slip joint washer with the tapered end facing the fitting threads.